Review of John Gee, An Introduction to the Book of Abraham (Salt Lake City and Provo, UT: Deseret Book and BYU Religious Studies Center, 2017), 197 pp. A couple of months ago, in the spirit of Doctrine and Covenants 88:118, I made a sort of “faith crisis prevention” reading list, consisting of what I considered the 15 “best books” on several important and controversial topics related to the Church, its history, doctrine, and scripture. That list included An Introduction to the Book of Abraham, despite the fact the book was not available yet. I did this based on having skimmed over an earlier pre-publication version of the book a few years ago. I am now pleased to say, having now read the final, published version of the book, that I absolutely stand by my original recommendation. 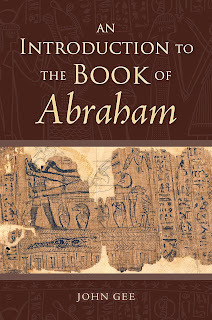 This is, indeed, the “best book” to read for an overview on the issues and research on the Book of Abraham. John Gee writes as an active member of the Church of Jesus Christ of Latter-day Saints and as a professional Egyptologist with an extensive list of relevant publications with some of the most prestigious publishers and journals. Despite this fact, however, Gee does an impressive job of keep the material clear, concise, and readable for a lay audience. The book was easy to read and surprisingly thorough in its coverage of the pertinent issues, all in under 200 pages—no simple task for a such a complex and thorny historical conundrum like the Book of Abraham. Gee begins with a historical overview (pp. 1–12) that provides background on how the papyri came into Joseph Smith’s hands in the first place, what happened to them after the translation was complete, and how some fragments ended up back in the possession of the Church in the 1960s. The longest chapter in the book discusses, in a broad sense, Joseph Smith’s involvement with the papyri (pp. 13–42), including his translation and publication of the Book of Abraham, and the so-called Kirtland Egyptian Papers (KEP), also known as the Grammar and Alphabet of the Egyptian Language (GAEL). At the beginning of this discussion, Gee notes that it is unclear to what extent Joseph was involved in various activities connected to the papyri, and argues that a “minimalist” approach to Joseph’s involvement—where only that which is explicitly attributed to Joseph by the evidence—is “the safe scholarly approach and avoids unnecessary speculation” (p. 14). This becomes especially important when it comes to the KEP/GAEL, a series of documents largely in the handwriting of various scribes and others close to Joseph. As Gee notes, nearly everything about these documents is uncertain, including Joseph’s involvement with their development (p. 32–33). 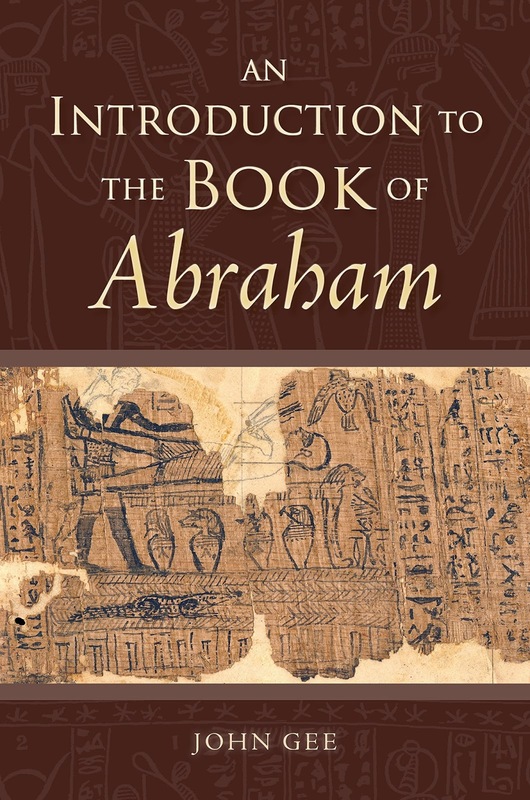 Despite this uncertainty, many secular or naturalistic theories about the origins of the Book of Abraham are built upon these documents, placing them, in Gee’s view, on shaky ground. Next, Gee provides a brief survey of the contents of the Book of Abraham (pp. 43–47), and then, to determine “whether ancient Egyptians might plausibly have had such a book” (p. 47), he reviews stories about Abraham that were circulating among Egyptians about Abraham around the time-period the papyri are from (pp. 49–55). This is followed by a fascinating exploration of what Gee has learned about the ancient owners of the papyri—where they lived, their profession, and the gods they worshipped (pp. 57–72). Since all the previous research on this subject appeared only in professional Egyptological publications, this chapter makes the most original contributions to LDS Book of Abraham studies. Gee then reviews the contents of the surviving Joseph Smith Papyri (pp. 73–81). It’s now at this point where Gee begins to address topics most people are likely to have questions about, such as the relationship between the papyri and the text of Book of Abraham (pp. 83–86), and the historicity (pp. 87–96) and ancient context (pp. 97–105) of the story. While it might seem strange that such popular topics are not addressed until the about 80 pages into the book, the flow of the book from topic to topic is very smooth and logical. There is no question that the foregoing discussion adds helpful context and perspective that is just as important to answering questions about the Book of Abraham. As Gee begins to tackle the Book of Abraham’s relationship to the papyri, Gee is careful to point out that there are various existing theories and frankly admits, “for none of the theories is the evidence as neat or as compelling as one might wish” (p. 86). Gee reviews the strengths and weaknesses of each theory, and notes, “Whichever theory one chooses to follow, one must be prepared to deal with the problems posed by the evidence that the theory cannot account for” (p. 84). Nonetheless, Gee is also clear that he feels “the theory that Joseph Smith translated the Book of Abraham from papyri that we no longer have accounts for the most evidence with the fewest problems” (p. 86). From there, Gee points out that while the Book of Abraham cannot be compared against missing papyri, it can be compared “with what is known of Abraham’s time and place” (p. 86), which leads into Gee’s discussion of historical authenticity. Again, Gee is careful to lay out the various views and perspectives on the relationship of the Book of Abraham to history, and argues that some of these positions are more intellectually stable than others (pp. 87–90). Gee also makes the important point that there is no way of getting around religious biases in this discussion. “On the basic issues of historical authenticity there is no agreement whatsoever between believers and nonbelievers” (p. 90). This is a natural result of the simple fact that, “Any theory … that has Joseph Smith translating an authentic ancient text assumes that he had to have done so by divine inspiration” (p. 84). Thus, to those who reject the divine inspiration of the translation, “the notion of discussing archaeological or ancient evidence of the Book of Abraham makes as much sense as discussing the archaeology of J. R. R. Tolkien’s Gondor or the location of Jane Austin’s Pemberley; they are fictional and never existed, so it makes no sense to treat them as real” (p. 90). Gee also makes it a point to discuss the limitations of scholarly methods in discussing the historical authenticity of ancient documents, noting that suspect documents cannot be proven authentic. This is because, by design, scholarly tests can only prove a document is a fake, or be inconclusive—a document that passes all tests for authenticity could potentially be a very good forgery (p. 92). Thus, “The best that can be done is to show that a document is plausible in the setting which it claims for itself,” but we must always remember, “Historical plausibility does not preclude the existence of alternative hypotheses or explanations” (p. 92). This means that no argument for the authenticity of the Book of Abraham can overcome skepticism of divine revelation or eliminate the need for faith. The next several chapters discuss the Book of Abraham in an ancient Near Eastern setting which Gee believes provides the most compelling background to the text. Following the narrative of Book of Abraham, Gee goes over the historical setting for Abraham in northern Syria (pp. 97–105), the Abrahamic covenant and ancient Near Eastern covenant patterns (pp. 107–113), and the astronomy of the Book of Abraham compared with ancient understandings of astronomy (pp. 115–120). Gee then discusses the pre-existence described in Abraham 3, but now his focus is no longer on ancient context, but the unique and invaluable doctrinal knowledge provided by Abraham’s vision and its reception among Latter-day Saints (pp. 121–127). While I appreciate the doctrinal insights, I was left somewhat confused as to why the ancient perspective was abandoned at this point. I would have liked to see some discussion about how Abraham’s vision of the pre-existence fits the pattern of a divine council scene as found in ancient Israel and the Near East more broadly. Since the divine council was often associated with the stars, this would have dovetailed especially well with Gee’s observation in the astronomy chapter that the transition from stars (ach) and spirits (ich) in Abraham 3 reflects an Egyptian wordplay (p. 117). As Gee moves on to the creation, he again returns to the ancient world, reviewing how the creation account in the Book of Abraham differs from Genesis and how it compares with other ancient Near Eastern creation myths, noting particularly how some aspects of the Abraham creation are closer to Egyptian creation myths (pp. 129–136). Gee then discusses his views on how biblical source criticism relates to the Abrahamic creation account and the relationship between science and scripture (pp. 136–142). These views are likely to prove controversial for different reasons among different audiences, even among the Latter-day Saints. 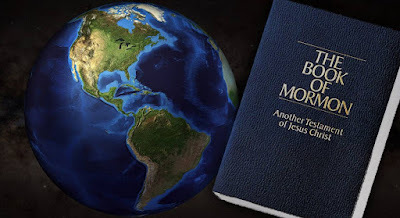 Those who are more open to the Documentary Hypothesis, for example, will take issue with Gee’s stance on source criticism, while more literalist thinkers are likely to push back against Gee’s approach to scientific issues related to the creation. In both cases, no approach is likely to please everybody. Gee is to be commended for including discussion of these controversial topics and articulating his views clearly and concisely. From here, Gee goes into a brief discussion of the facsimiles (pp. 143–156). This was, in my view, the weakest part of the whole book. That’s not to say the chapter is bad or the information provided here is not helpful—to the contrary, Gee provides important background about the papyri each facsimile came from, the uncertainty about how they are connected to the Book of Abraham or who made those connections, and the difficulties of interpreting them due to their uniqueness. But the discuss of each of the facsimiles individually felt a bit on the shallow side, even for an introduction. Gee opts to simply discuss “the overall interpretation” of each facsimile instead of review them figure-by-figure, an understandable decision since a figure-by-figure review would be impossible in a short introduction like this (p. 148). In each case, Gee identifies general ways similar Egyptian iconography has been tied to Abraham, which is certainly interesting and useful, but I couldn’t help but feel that people with questions about the facsimiles would feel left wanting. At least some brief discussion of a few of the major controversies and highlighting a few of the more direct “hits” in the interpretation of the figures would have made this chapter more satisfying, I think. Gee closes out the book by discussing the impact of the Book of Abraham in both ancient (pp. 157–161) and modern times (pp. 163–173). Gee then provides a helpful FAQ hitting on some of the more salient points of discussion found throughout the text (pp. 175–184). The book is kept visually interesting with the inclusion of various images, charts, and maps scattered throughout the volume, all of which provide useful information and are incorporated into an aesthetically attractive layout. Most chapters also included “further reading” recommendations with annotations, making it easy for interested readers to further pursue research into various topics. Overall, I greatly enjoyed reading An Introduction to the Book of Abraham, and feel that it provides a much needed introduction and guide to all the important issues and research on the Book of Abraham. I highly recommend it to interested lay persons and more informed readers alike.